The NHLPA is heading back to beautiful British Columbia on Canada’s west coast this week for the players' Golf Classic. The 24th annual charity golf tournament will be held at Predator Ridge in Vernon, B.C. on Thursday, July 7th. Dozens of current and former NHL players will be on-hand to participate in the Golf Classic festivities, including: Dave Babych, David Booth, Tyler Bouck, Chris Campoli, Blake Comeau, Adam Cracknell, Cory Cross, Byron Dafoe, Brenden Dillon, Shane Doan, Devan Dubnyk, Vernon Fiddler, Cody Franson, Brent Gilchrist, Eric Godard, Josh Gorges, Greg Hawgood, Peter Holland, Kelly Hrudey, Ryan Johansen, Ed Johnstone, Bracken Kearns, Dennis Kearns, Chuck Kobasew, Dean McAmmond, Kirk McLean, Sandy Moger, Christopher Murray, Riley Nash, Jason Podollan, Mason Raymond, Joe Reekie, James Reimer, Mathieu Schneider, Todd Simpson, Jerred Smithson, Jordin Tootoo, Dixon Ward, Steve Webb, Shea Weber, Rob Zamuner and Rob Zepp. With charity being the focus of the day, the players will separate into groups for the golf tournament under NHL player team captains, with each team playing for charities that are meaningful to and chosen by them. Since its inception 23 years ago, the NHLPA’s annual golf tournament has raised more than $3.4 million for countless charitable causes. Be sure to follow us on Twitter, Facebook, Instagram, and Vine, for full day live coverage from the golf tournament at Predator Ridge. We will be stationed at the 6th hole – the most iconic and picturesque on the course – to bring you photos and videos of the players as they relax, tee-it-up and support a number of worthy charities. 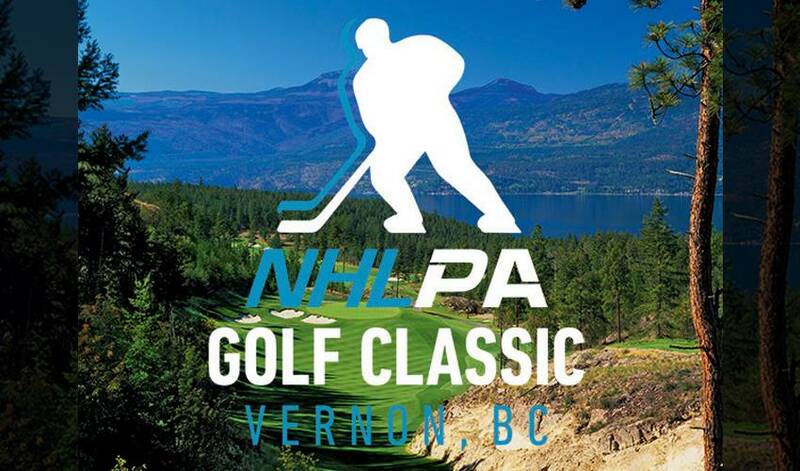 Fans can join the conversation and follow along using the hashtag #NHLPAGolfClassic.